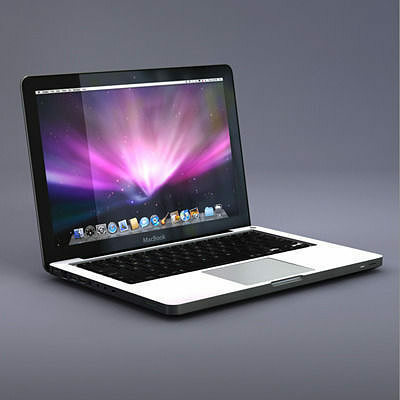 3D asset of the Apple unibody Macbook laptop computer. This model was painstakingly built with great attention to detail. Each polygon object has been crafted with the goal of providing a high level of detail, while still retaining a moderate poly count. Every object, material, and texture has been appropriately named. Objects have been placed into respective groups. The polygon placement is very clean and thought out. All this combines to give you a model that is very easy to work with. Procedural materials, and animated hinge action available in .c4d and .fbx only. All file formats include texture maps.